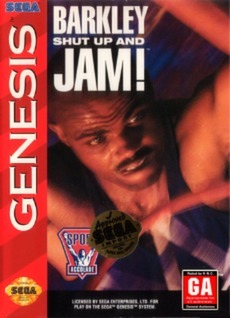 Barkley: Shut Up and Jam (Sega Genesis, 1993) - Cartridge Only! Barkley Shut Up and Jam! - Sega Genesis Video Game ! !